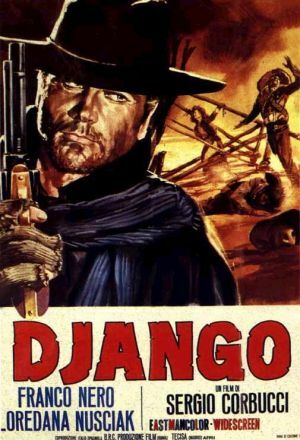 While Clint Eastwood became the king of the Spaghetti Westerns, there was also another Italian badass by the name of Franco Nero who starred in a bunch of Django movies and was the poster boy for a bunch of really cool Italian posters. 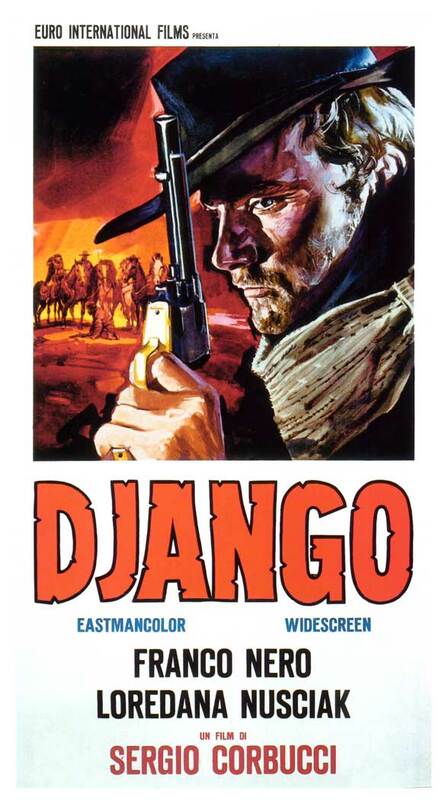 Would’ve loved to have seen ol’ Franco and Clint in a shootout! 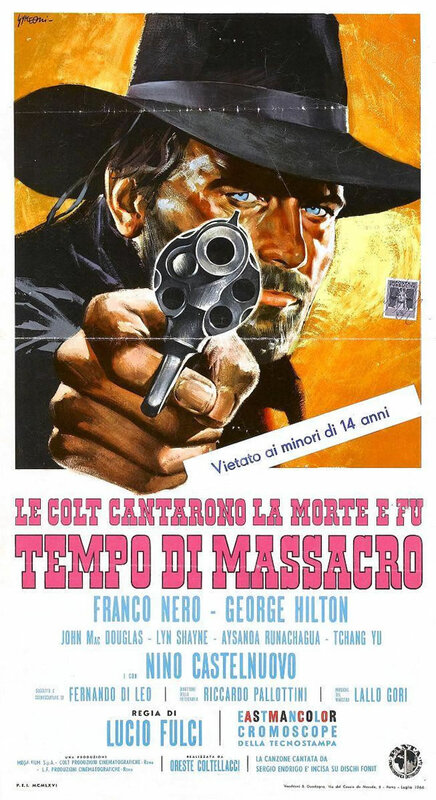 My personal favorite is the Tempo di Massacro (aka The Brute and the Beast) by Italian artist, Sandro Symeoni (top, middle), but then again, the Django (bottom) by Rodolfo Gasparri ain’t bad either. 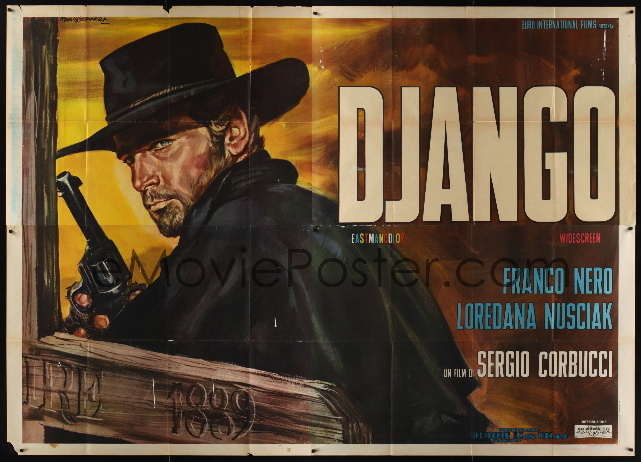 This entry was posted in 1960s posters, Artists & Illustrators, Italian movie posters, Westerns movie posters and tagged django, franco nero, rodolfo gasparri, sandro symeoni, spaghetti western movie posters by russ. Bookmark the permalink.